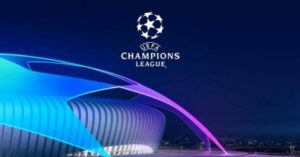 When is UEFA Champions League 2019 Second Leg, Date, Time and Venue for the match fixtures of Champions League – This article covers updates from 8 clubs playing for quarter final to see the qualifiers for Champions League 2019 Semi Finals. Barcelona, Manchester United, Juventus, Tottenham, Manchester City, Ajax, Porto and Liverpool squads, formation and predictions. SEE FULL DETAILS BELOW. UEFA Champions League 2018/2019 Quarter Finals Second Leg is Tuesday, 16th April, 2019 and Wednesday, 17th April, 2019. Ajax was very difficult for Juventus to win. They played excellently well. Though Juventus was very lucky to have scored that powerful header goal from Ronaldo. Ajax played very well though they lack finisher. Juventus played more with experience if not, Ajax would have won them. Those players that played last match will still play, but we will inform you of the latest squad and formation. In the next match between Juventus and Ajax, there is possibility of Juventus winning Ajax. Juventus have 57% to win Ajax, 25% to draw Ajax while Ajax have 18% to win Juventus. Therefore, there is possibility of Juventus beating Ajax. How can they win Ajax with what they played last? Juventus can only win Ajax with experience and fastness. They have studied them more. Though, there is still possibility of reverse. Predict the match scores by commenting below and get a chance of winning recharge card at the end. Manchester United was not as easy as expected by Barcelona. Could what happened between Manchester United and PSG happen again. If Manchester United could play same and convert their chances to goal, they would do better and qualify for Semi-Final. With Barcelona experience, it will be very difficult for Manchester United to win, instead they will draw. Those players that played last match will still play, but we will inform you of the latest squad and formation. In the next match between Barcelona and Manchester United, there is possibility of Barcelona winning Manchester United. Juventus have 68% to win Manchester United, 19% to draw Manchester United while Manchester United has 13% to win Barcelona. Therefore, there is possibility of Barcelona beating Manchester united. However, there is still chances of Manchester United beating Barcelona if goal luck is by their side. These two premier league clubs really performed excellently in their last match but Tottenham was able to utilize their opportunity by converting it to a goal. Do you think Manchester City will allow it like that? I believe Guardiola of Manchester City will not allow it to happen like that, he would like to fight but can his fight really make them to win. This match indeed will be a difficult match as no one would like each other to win. If Tottenham plays defensive game against Manchester City, it will affect them, the best is for them to play their normal match and be more alert and fast. Those players that played last match will still play with a few replacements, but we will inform you of the latest squad and formation. In the next match between Manchester City and Tottenham, there is possibility of Manchester City winning Tottenham. Manchester City have 73% to win Tottenham, 18% to draw Tottenham while Tottenham has 9% to win Manchester City. Therefore, there is possibility of Manchester City beating Tottenham. However, there are still chances of Tottenham beating Manchester City if goal luck is by their side or if they draw. People have already crowned it that Liverpool have won the match, but any relaxation and reluctance from their side would be converted to goal by Porto. The fact is that Liverpool is good and plays excellently, let them keep it up in this second leg to avoid what happened between Manchester United and PSG not to repeat itself. Porto is ready to fight in their home and can do anything possible just to qualify for this Semi Final. Liverpool on the other hand who had qualified for finals before but lost it to Real Madrid is very desperate to get to the top of beating Porto with more goals. Those players that played last match will still play with a few changes, but we will inform you of the latest squad and formation. In the next match between Porto and Liverpool, there is possibility of Liverpool winning Porto. Liverpool has 46% to win Porto, 28% to draw Porto while Porto has 26% to win Liverpool. Therefore, there is possibility of Liverpool beating Porto. However, any relaxation from Liverpool side may reverse the game in favour of Porto. BasedOnNews remains your favourite Sports and News, kindly subscribe to this site using Email address for Updates on Sports and others.